On July 27, seemingly out of nowhere, security company AuthenTec announced in a regulatory filing that it had agreed to a $356 million acquisition offer from Apple, making it one of the Apple’s biggest mergers in its 36 year history. Terms of the deal included provisions for the company’s patents, control of its fingerprint sensors, touchchips and security technologies, but much of the detail was missing from AuthenTec’s document at the time. However, with the recent filing of a PREM14A proxy statement with the SEC (a document which notifies shareholders of the deal and how it was finalised, allowing them to vote on whether it should be completed), the security firm has shed more light on why Apple decided to acquire the company. If you are interested in the technology that could be embedded in Apple’s new iPhone (or the rumored 7.85-inch iPad) then you should definitely read on. Please note: References of a “new technology” are almost certainly related to 2D fingerprint scanners in Apple’s new products. We believe they will include NFC, but there is limited evidence to support this. According to the AuthenTec document, discussions between AuthenTec and Apple began “late in 2011.” AuthenTec — a company that counts Alcatel-Lucent, Cisco, Fujitsu, HBO, HP, Lenovo, LG, Motorola, Nokia, Orange, Samsung, Sky, and Texas Instruments among its customers — approached “several leading consumer electronics companies,” sounding out whether they would be interested in utilising a new technology it had developed. Despite offering it to a number of companies, Apple was the only company that expressed an interest in developing the technology. AuthenTec notes that there are a number of reasons why Apple was the only customer actively pursuing a commercial agreement, but it appears the main reason was cost. Negotiations over a commercial agreement began in late February 2012, continuing through March and April. Topics discussed included the terms of the deal, the extent of the intellectual property (IP) that AuthenTec would grant to Apple for its use of its new technology and what would be required of the company’s engineering team to develop and fit within Apple’s plans. During this time, terms could not be agreed. Then the agreement shifted completely. A transaction structure and timeline for the deal was proposed and this resulted in the showing of Apple’s hand. The company wanted to use AuthenTec’s technology and it needed it fast. What technology and why did Apple need it fast? As a result of its focus on timing, Apple’s representatives also informed the Company that Apple would not participate in an auction process and would rescind its proposal if the board decided to solicit alternative acquisition proposals for the Company. Mr. Ciaccia responded that he would convene a board meeting to discuss the proposal and would revert to Apple with the board’s position on Apple’s proposal. Bear in mind, these talks where being held at the very start of May. At no point in AuthenTec’s filing does it state whether Apple was looking to incorporate a hardware or software feature (possibly even both). However, Apple’s acquisition offer also included an IP agreement (worth $20 million) that would allow it to use AuthenTec patents, which it could then license for as much as $115 million. The IP agreement provides Apple with the right to acquire non-exclusive licenses and certain other rights with respect to hardware technology, software technology and patents of the Company for commercialization of 2D fingerprint sensors for use in or with Apple products. For the right to acquire such non-exclusive licenses and other rights, Apple will pay us $20.0 million. Apple will have 270 days from the date of the IP agreement to choose, in its sole discretion, to license certain hardware technology and patents and certain software technology and patents from us on a perpetual, non-exclusive basis for an aggregate sum of up to $115.0 million. Apple can choose to acquire either the non-exclusive hardware technology and patent rights ($90.0 million), the non-exclusive software technology and patent rights ($25.0 million) or both. Passbook is a new Apple application, rolling out with iOS 6, that will serve as a digital wallet (storing tickets, coupons and loyalty cards) for iDevice owners and possibly offer digital payments. Fingerprint technology could be integrated to verify payments, ensuring that if the device was stolen, an authorised user would not be able to pay for items without biometric input first. Put simply, it can interact directly with payment applications (including Passbook) to offer secure authentication and help process NFC commands based on the positive authentication of the user. This includes payments, but other NFC-centric processes like door entry and interaction with smart tags. The above component may not be what Apple and AuthenTec were working on, but the technology is there. A sensor that is 1.3mm could even be incorporated into a Home button. With Apple wanting to finalize the deal with a quickness, it would be easy to suggest that it was looking to incorporate AuthenTec’s new technology in its upcoming products. Leaning on reports of Apple’s next-generation iPhone launching on September 12 and a 7.85-inch iPad following soon after — it would give Apple less than three months to embed this technology in its products (if indeed they were destined for the new iPhone and smaller iPad). Let’s not forget Apple’s computer line-up, AuthenTec has also provided millions of fingerprint sensors for desktop PCs and peripherals for many years. There is a definite possibility that they could make an appearance in Apple’s Mac lineup. However, it begs the question: If AuthenTec was developing a technology for Apple’s new products, would the deal need to have been completed “quickly” if it wasn’t going to be used in devices launching later this year (or mere months after negotiations began)? 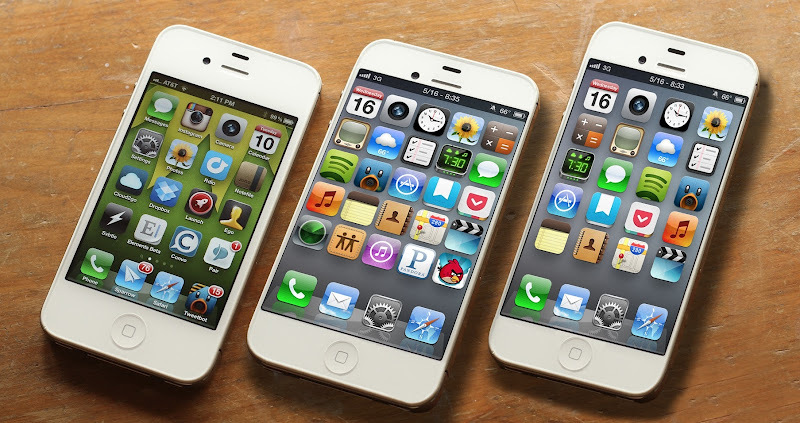 If it requires software development, Apple would, of course, be able to spin out the technology in an updated branch of its iOS 6 operating system, which is due to hit Gold Master (the final revision before public release) in the coming weeks. On May 8, after consultations with its board and investors and discussion of whether it would be able to pursue takeover deals with other consumer electronic companies, AuthenTec countered Apple’s bid and said that it would require $9.00 per share for talks to continue. Apple said it would not offer more than $8.00 per share, and over the next three weeks the two parties worked on finalising the deal. However, on May 31, Apple put a halt to proceedings, stating that after it had performed its due diligence and was not willing to proceed with the transaction until they had been resolved. But, this didn’t mean Apple wanted to abandon development of the new technology. If there was a sign that Apple was hell-bent on integrating the technology in its products no matter what, this was it. After much deliberation between AuthenTec, Apple, Alston & Bird and Piper Jaffray, a deal was agreed on the evening of July 26. Apple would pay $8.00 per share, provide $20 million for AuthenTec’s technologies and license its technologies for up to $115 million. On July 27, AuthenTec filed an 8-K with the SEC and the deal was announced. Apple originally wanted to license AuthenTec’s (fingerprint?) technology and see it utilised in its new products. The company is rumoured to be launching its new iPhone just next month and rumours of a 7.85-inch iPad are gathering pace. Given that AuthenTec has filed its proxy document, shareholders are still to vote on the Apple deal. It is almost certain to go ahead, but AuthenTec can still hold out for a bigger offer, where it would need to pay Apple $10 million. Regardless of whether the deal is completed or not, the fingerprint technology in question will certainly make its way to an Apple product. Throughout its meetings with AuthenTec, Apple was keen to express that work on the new technology must continue unhindered, regardless of whether it entered a commercial agreement (which involved royalties, patent licensing and its exclusive use) or it acquired the company. Will we see fingerprint technology in the new iPhone (or iPad)? It seems almost certain. AuthenTec specialises in a number of security products and software that theoretically could have made their way into Apple’s production line or code branches. Details are scarce but its desire to use the technology and see it developed quickly leads us to speculate that we could see it in just a matter of weeks. Keep up with the latest Apple news right now at TNW Apple. Read next: USA Today used Instant Headline Testing to boost click-through-rates during the Olympics. And it worked.